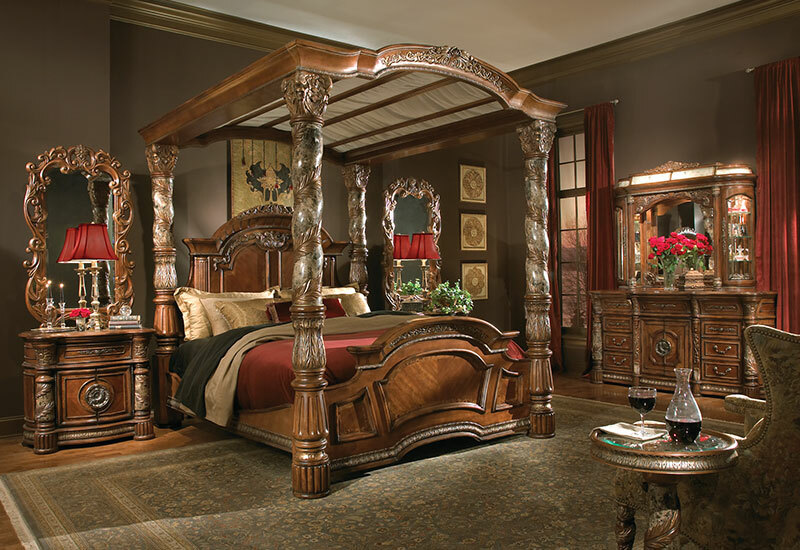 Michael Amini is a high quality, designer furniture and bedding brand. Prepare to be amazed by the detail and use of high end materials throughout their furniture collections. And while you are browsing, be sure to check out their gorgeous collection of chandeliers and home accents. Whether your style is Victorian, farmhouse, or something in between, Michael Amini has something for you! Check out the links below for more information about Michael Amini. Please note that we carry Michael Amini primarily as a special order brand.